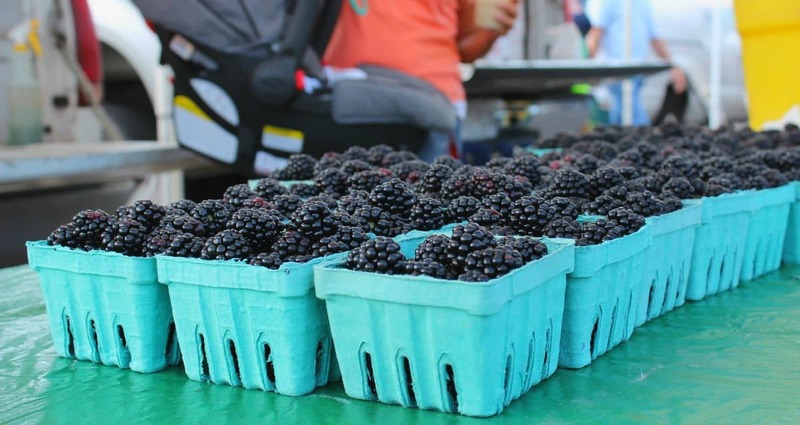 Looking for local farmers markets in Frederick County Maryland? 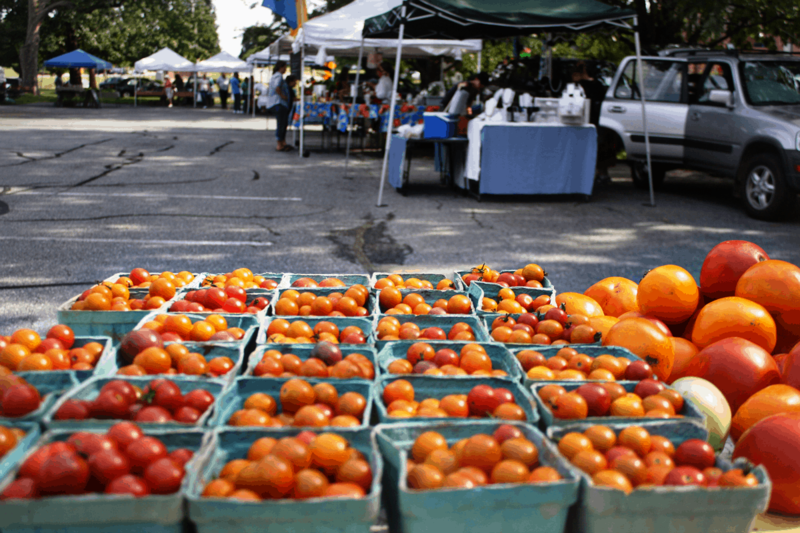 Did you know that there are more than 140 farmers markets across the state of Maryland? There’s at least one in every county and Baltimore City. To search for a farmers market near you go to Maryland.gov and scroll down to open this year’s Farmers Market Directory. 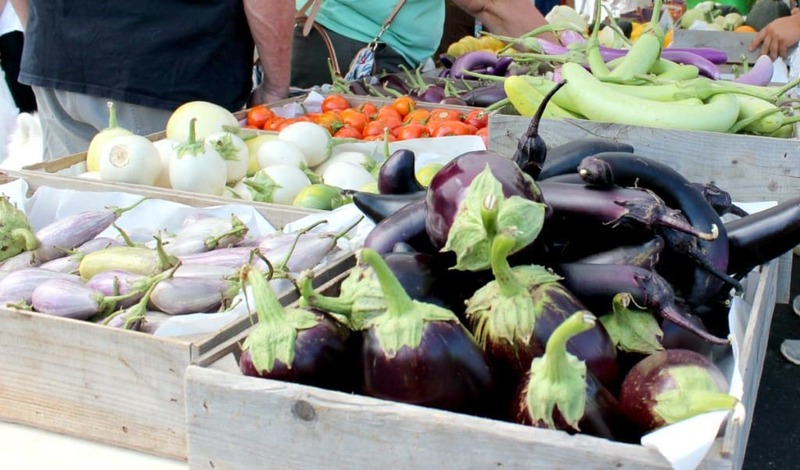 A current list of Frederick County Farmers Markets begin on pages 20 to 22. On this site, you can also download a 36 page Farmers Market Cookbook loaded with great clean-eating tips and recipes! Local food is fresher and healthier. It goes from farm to you so it loses fewer nutrients and less is spoiled. Less fuel is used and fewer greenhouse gases are emitted because local food travels a shorter distance to you. Less local food is wasted in distribution, warehousing and merchandising. Buying local foods makes our local economy stronger. When you spend your food dollars locally, you are creating local jobs by supporting family farms, local food processing and local distribution systems. Shopping for local foods creates communities by connecting people with their farmers who bring them healthy local foods. Farmers markets are great places to meet and connect with friends as well as farmers! Shop local. Eat clean. Be healthy. Find the farmers market nearest you. 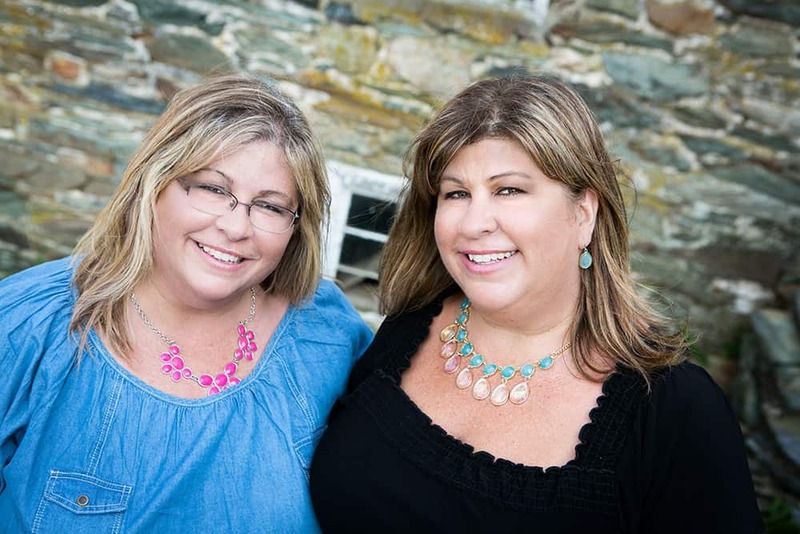 Two of Housewives of Frederick County’s correspondents went out into the field to do some research right here in Frederick County! And, by correspondents I mean Pam and our friend Mae from Custom Mae’d! I had the recent pleasure of visiting the West Frederick Farmers Market. Having only been to farmers markets a handful of times in my life, I was happy to go check it out. Not sure why I don’t frequent farmers markets more often. But, that’s going to change for me going forward. Pulling into the parking lot, there was a sea of pop-up pavilions with an abundance of vendors. Fredericktonians were bustling all around, carrying their purchases. From gorgeous flower arrangements to homemade juices this farmers market has it all. Fresh veggies of every variety you can imagine, baked breads, cookies, pastries, cupcakes, cakes, delicious looking fresh fruits, handmade jewelry vendors, a selection of wines, flavored pickles, cheeses and even an ice cream truck for the kids. There was even a lady walking around giving out thermal, reusable shopping bags. These bags were SO helpful since I had forgotten to bring mine. In addition, vendors offer bags, but it’s nice to have a nice big shopping bag to corral all of your goodies. The vendors were extremely friendly and forthcoming with information about their goods, as well as information about other farmers markets in Frederick. They told me that a lot of the vendors at the West Frederick Farmers Market also setup their tables at the Frederick City Market. According to one vendor, the Frederick City Market is more intimate and has live music. Most of them offered samples to taste. I’m a fan of the Middletown Farmers Market right here in Frederick County. The quality of the produce and the variety of the items offered were impressive! From apples to zucchini, the vendors seem to cover it all! Besides an abundance of fresh produce, I also found an assortment of fresh baked goods (gluten free options are offered as well), local honey, crafts, fresh cut flowers, local free range eggs, home baked dog treats, and crab soup to boot! Cash is the preferred method of payment, though many booths are also equipped with the technology to process credit card payments. Shopping bags are in most cases provided, but based on my observation of the regulars – ‘BYOB’ (bring your own bag) is the way to go! 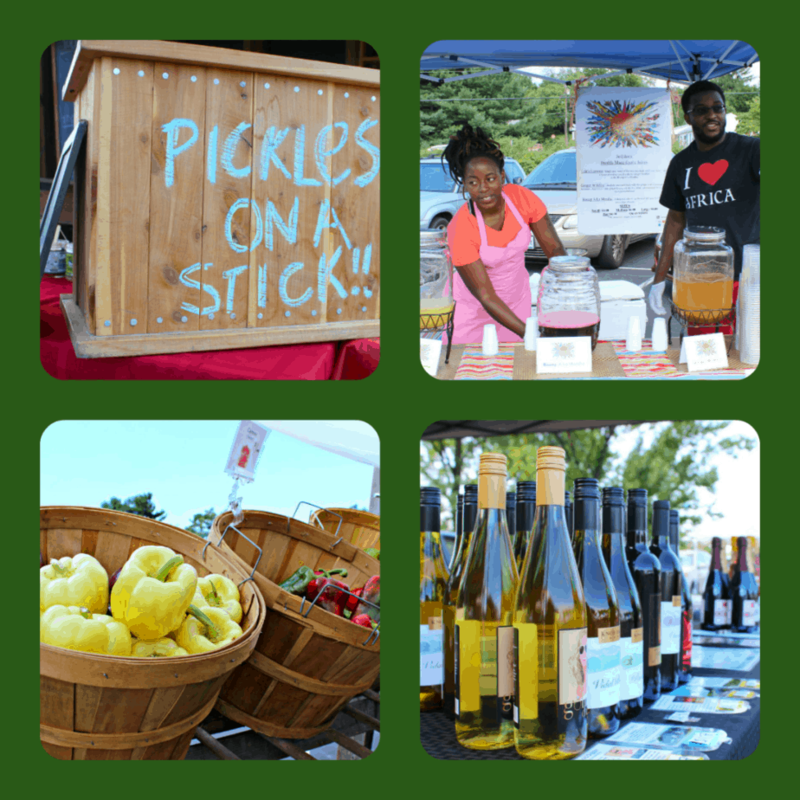 The Middletown Farmers Market is open every Thursday throughout the season (May through October) from 4-7pm. Let’s get out there and support our local farmers! The food is fresh, and it’s good for the neighborhood! Again, here is the link to the 2016/2017 Maryland Farmers Market Directory. Scroll down to pages 20 to 22 for Frederick County Farmers Markets. And, when you go to a farmers market, don’t be shy to ask questions. ExhibitHealth.com shares a list of potential questions that every consumer should feel free to inquire about! Which farmers market is your favorite? Crab soup!?!? 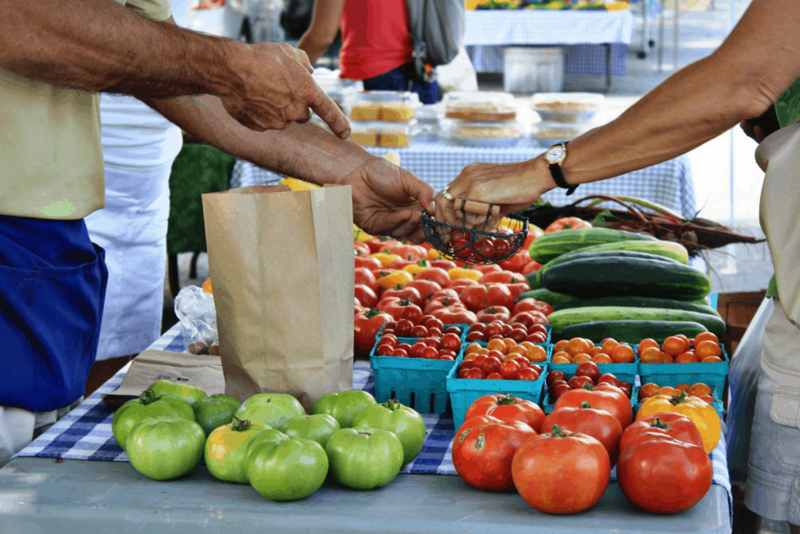 I love the local farmer’s market– a great way to try something new (and buy just enough to try) or stock up on something seasonal for that week’s menus. Your beautiful pictures made me hungry! I go to a farmer’s market not far from dad’s office. They have the best fresh strawberry/rhubarb pie! Thank you Cheryl! They have some great farmer’s markets here in Frederick. Yum! That pie sounds amazing.